Born in Yamanashi in 1956, he graduated from the Faculty of Industrial Design of Tama Art University. As a resident designers took care of microelectronics design tools, including watches. In 1989 Fukasawa moved to the United States and entered all'IDEO, a very rare case for a Japanese product designer at the time. At that time the Silicon Valley was undergoing strong growth thanks to computer technology, and Fukasawa was mainly devoted to the design of computers and electronic components for companies in the region, as well as medical equipment, furniture and sporting goods. In 1996 he returned to Japan, where he formed the headquarters of the IDEO in Tokyo, where he became responsible. In 2003 created Naoto Fukasawa Design. Fukasawa's approach to product design is very original and his concepts "Without thoughts" and "Design that dissolves into behavior" find consensus on an international level. Fukasawa considers simplicity in design as a way to foster completeness and a harmonious relationship between the user, the object and the environment as the purpose of the project itself. This way of thinking is also called "Outline", or delineate. Delineating means defining the boundaries of the relationship between objects, people and the environment. Today Fukasawa lives in Tokyo where he has his small team, and collaborates with many important international companies. Besides the title of Honorable Royal Designer for Industry, insignitogli by the Royal Society of Arts in 2007 as an example for the industry, Fukasawa has won many other awards. Fukasawa is a director of 21_21 Site Design and member of the Advisory Committee for the design of MUJI. 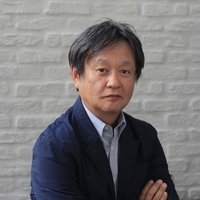 It is also President of the "GOOD DESIGN AWARD," professor at Musashino Art University, visiting professor at the Tama Art University and a member of the Study Group on the Strategic Design Applications Ministry of Economy, Trade and Industry.